Our standalone version lets you create and import your transactions directly into JuanTax, and generate tax returns for each report. Don't have a Xero account yet? or are you using systems other than Xero but still wanted to enjoy the features of JuanTax? Then we got the solution for you! We’ve added a standalone version to the tax software which allows you to create transactions within JuanTax. This would give users the direct option of entering their data without the need of integrating other applications with JuanTax. To create a new transaction, simply click on Create Transaction button and fill out the required fields. This new standalone version allows you to import data from your current or previous accounting system in order for you to produce and file your tax returns electronically. You need to click the Import Transaction button, then start importing your CSV file by following the steps in the setup wizard. The standalone version now also allows you to manually enter and import your list of contacts directly into JuanTax. 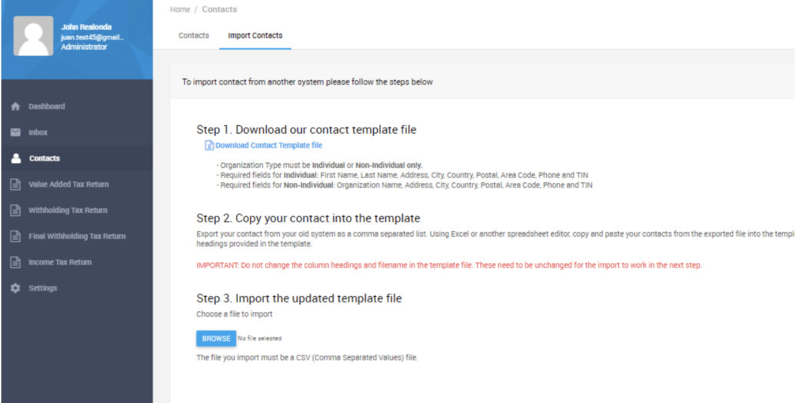 With the manual data entry option, you can start filling up your contact form by clicking the Create Contact button. For Individual: FirstName, LastName, Address, City, Country, Postal, Area Code, Phone and TIN. For Non-Individual: OrganizationName, Address, City, Country, Postal, Area Code, Phone and TIN. 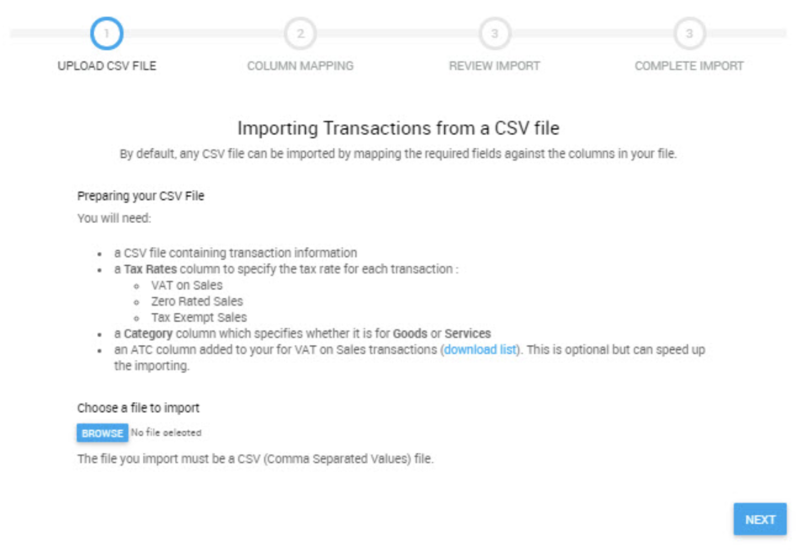 Save your file as a CSV (Comma Separated Value) spreadsheet then simply import it to the Import Contacts section in JuanTax.